Q: My husband and I have purchased a typical split-level home in an area where there are a lot of houses that are virtually identical. Structurally the house is sound, but we'd like to make some changes that would make it more interesting architecturally. We would have preferred a conÂ­temporary house, but this meets our space requirements and is a good investment. Do you have any ideas that we might consider? A: In most split level homes, you enter from the outside to the living room, dining room and kitchen level. From there you go up a few stairs to the bedrooms or down a few stairs to a playroom and gaÂ­rage. Naturally, there are variations, but this is the floor plan that is most common. Because several of the living areas are divided by a slight variation in height, you hence have the term split level. In a home such as this, the level where you can make the most draÂ­matic architectural changes would be the living room, dining room and kitchen level. Most often, there are no rooms directly above it. This gives you great flexibility. Obviously, when there is another level above a space that you want to remodel, you're limited as to what you can do architecturally. In this case, directly above the living room, dining room and kitchÂ­en, there is generally crawl space and then the roof is above that. Changing the ceiling light, addÂ­ing skylights and installing new arÂ­tificial lighting are all realistic possibilities because the space above is so readily accessible. heights. I would definitely investiÂ­gate opening up the ceiling in the living room and changing the stanÂ­dard 8-foot height to a cathedral ceiling that would follow the pitch of the roof line. Not only would it make it a lot more interesting arÂ­chitecturally, but it would also visually expand the space. Note that I say living room, beÂ­cause most often the wall between the living room and dining room or kitchen is load bearing and cannot be removed. You may also be able to open up the ceiling in the kitchen and dining room, but the load bearÂ­ing wall (or a suitable substitute) must remain. Make certain that before you do any major alterations that you check with someone who is very knowledgeable about construction. More than likely, changes are posÂ­sible, but there may be some strucÂ­tural limitations. If you determine that it is feasiÂ­ble to open up the existing ceiling, and decide that this is what you would like to do, consider installing some skylights. They will not only give additional light, but your eye will be drawn to them, thus emÂ­phasizing the new ceiling height. If placed above areas that are not close to windows and were preÂ­viously dark, they will be particÂ­ularly effective. 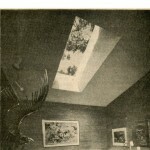 The better skylights are insuÂ­lated to prevent much heat loss. There are also new window treatments. on the market today that are designed to control the sun and can be operated even if they are out of reach. 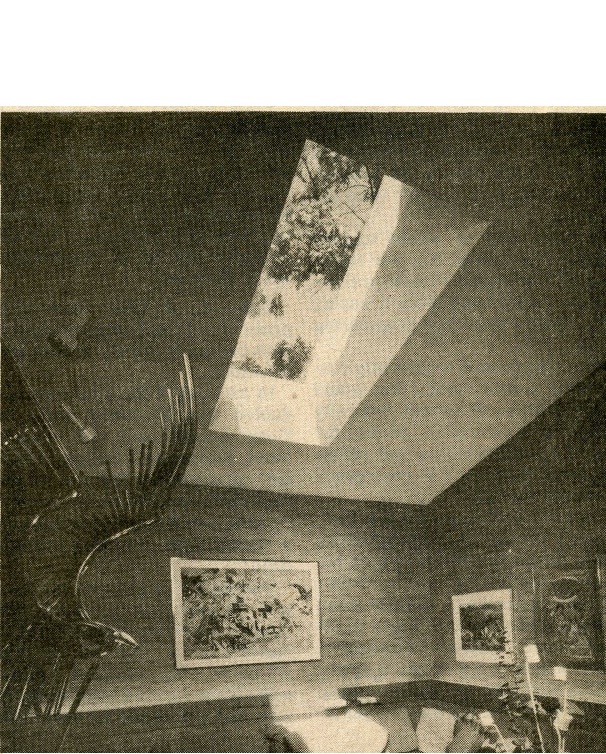 Consequently, skylights are not as impractical as many people might think them to be. I would also advise adding some new lighting. It can be easily done and would be a valuable addition to the room because it would dramaÂ­tize the space. Consider recessed lights, a track system or a combiÂ­nation of both. Other possibilities, depending upon your personal preferences, might be to enlarge the opening into the dining room or even reÂ­move part of the wall between the kitchen and dining room. Once again, not everything is possible structurally, but the may be some ideas you'd like to explore. The "great room" concept with spaces flowing into one another veryÂ popularÂ andÂ conducive many lifestyles today. Employing some of these ideas will certainly add more interest your home and give it the contemporary ambiance you desire.